Bakgatla Resort, is situated on the edge of the malaria free, Big Five Pilanesberg National Park, which is some two hours drive from Johannesburg and close to Sun City. This budget venue offers accommodation in colonial style chalets or in safari tents and there is a caravan and camp site facility. This resort has its own braai area, restaurant, pub, swimming pool, playground and offers game drives in the Pilanesberg National Park, alternatively guests may drive ones-selves on the Park’s road network. Accommodation is on a Bed & Breakfast or Dinner, Bed & Breakfast basis only; Camping Sites & Caravan Sites are on a Site Only Basis. 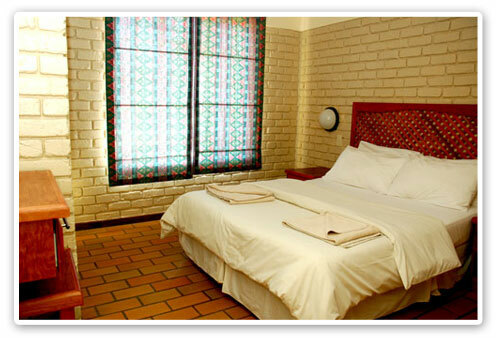 The 5 Bed Chalets have air conditioning, a private patio and braai area. 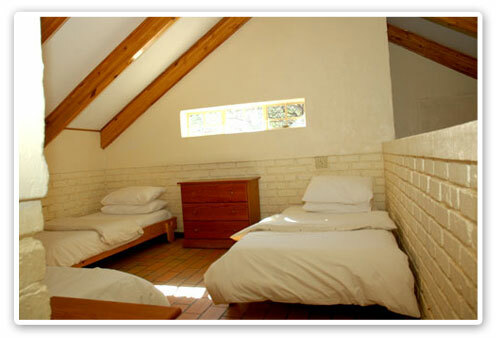 One double bed in the main bedroom and three single beds in the loft, the unit has a kitchen and bathroom en-suite. Chalets sleep a Maximum of 5 people. Caravan Sites – All sites are electrified (utility outlets 15amp) and each can accommodate 1 caravan with a maximum of 6 people and 2 motor vehicles per site, Sites have centrally situated communal ablution facilities. Allocation of the campsites is on a first come basis. The Pilanesberg area is semi desert with grass cover very limited. In the rainy season the area will possibly become muddy. If camping please specify which Camping Site.